I would like to buy a spare battery for my smartphone. The phone is a Wiko Wax, and I know that the Wiko brand is not very famous worldwide, but it is in western Europe. It's a French/Chinese brand and their products are manufactured in China. I'm unable to find an internal battery for this specific model online, on websites like eBay but I can easily find some for other models released at the same time. I actually found a battery but the price was way too high (€30, which is the price of an external power bank that would allow me to recharge the phone 4 times). As a comparison, I'm seeing batteries for Samsung S4's at just €10. 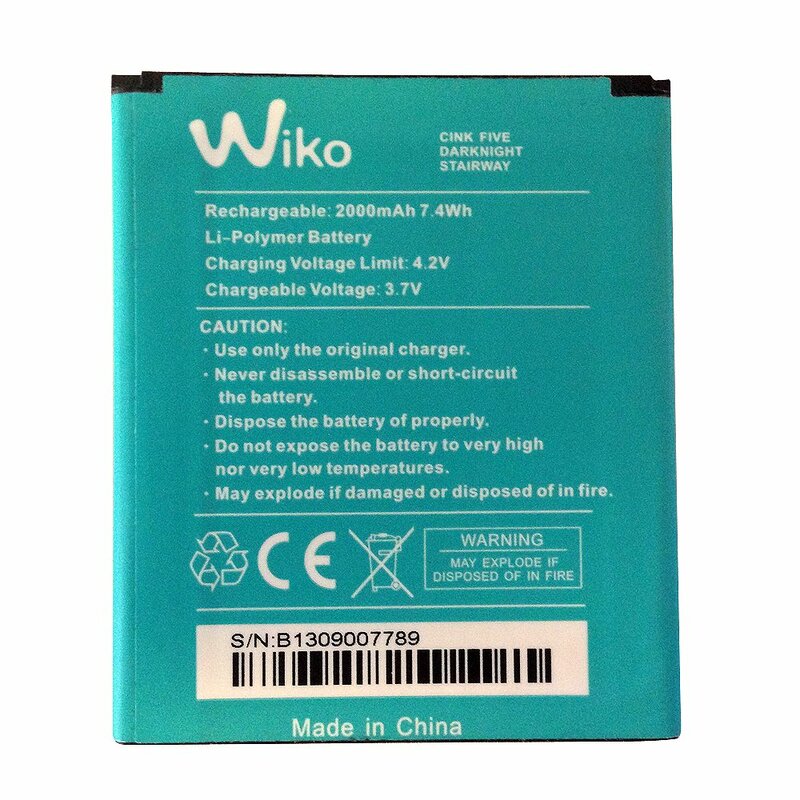 So I'd like to know where I can online retailers (in China for example) who have this battery. Otherwise I think that I might be able to use batteries designed for other models but I would like to know how I can know if they are compatible or not. If you remove the battery from the phone you should be able to find a part number. use that number to search for a similar battery. keep in mind because its not a popular phone the price will most likely be higher because its not flooding the market. If it ships over sea you might have to pay a higher shipping because of policy's on shipping battery's. As you can see, the specs are the same but the number at the bottom is different. Assuming that the dimensions are the same, do you think that this battery would be compatible with the Wax? Yes, assuming the dimensions are the same, the serial number will not matter. Just check and make sure the pin's are the same, but it looks like it. Andre sonsuza kadar minnettar olacak.